1 Who is Hayley Atwell? 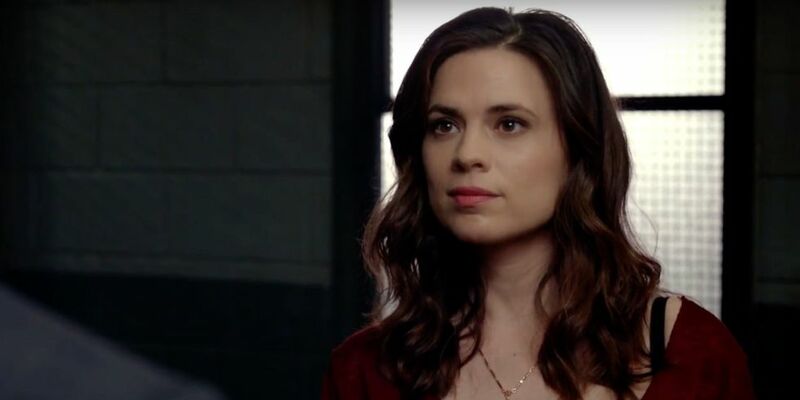 6 Do You Know How Rich Successful Actress, Hayley Atwell Is? 7 Do You Know About Hayley Atwell’s Personal Life, Dating, Husband? 8 Is Hayley Atwell on Social Media? Born as Hayley Elizabeth Atwell on the 5th April 1982 in London, England, she is a Golden-Globe Award-nominated actress, probably best known to the world as Peggy Carter in the “Captain America” films, and the lead role in the TV series “Agent Carter”. Aside from the screen, Hayley has also worked on stage and radio. Bye NY, thanks @gettyimages thanks @micaelaerlanger and the @narrativepr team and to all the outlets for having me in to chat about #ChristopherRobin All the sweet feels coming your way Aug 3rd in USA ? Hayley is the only child born to Grant, a part Native American originally from Kansas City, Missouri, and his wife, Alison, who is British. Hayley’s parents divorced when she was only two years old, and her father returned to the US to pursue his Native American roots, while Hayley and her mother remained in the UK. Despite the separation, Alison and Grant remained in touch, and Hayley would spend summers in the US, but as time passed, she developed a closer relationship with her mother. Hayley went to Sion-Manning Roman Catholic Girls’ School in London, and later she took A-levels at the London Oratory School. Hayley received an offer from Oxford University to read theology and philosophy, but her A-Level results weren’t good enough, so she took two years off from education, and chose to travel with her father, finding a place as a help for a casting director. She returned to school by enrolling at Guildhall School of Music and Drama, staying for three years before graduation. Hayley’s on-screen career had already started; she was chosen for Pringles potato crisps television commercial, with the earnings from which she used to pay for her school. She then focused on her education, and after graduated started auditioning for stage, TV and film roles. She began on stage, with the role of Io in the play “Prometheus Bound”, and has continued in parallel by also appearing in screen roles, but her most successful so far has been the role of Catherine in the play “A View from the Bridge”, performed at Duke of York’s Theatre, which was her West End debut. Hayley made her screen debut in 2005, with the part of Sabrina Guinness in the television film “Whatever Love Means”, while in 2007 she had her first starring role, as Angela Stark in Woody Allen’s romantic drama film “Cassandra’s Dream”, next to Colin Farrell and Ewan McGregor. The following year, Hayley played Bess Foster in the film “The Duchess”, while she was also chosen for the part of Lady Julia Flyte in the Miramax film “Brideshead Revisited”, for which initially the producers and casting director told Hayley to lose some weight, but after she was advised by fellow actress Emma Thompson, Hayley decided not to succumb to their comments, and eventually producers accepted Hayley for who she is, an actress, not a model. She continued her acting career, making her way to the top of Hollywood by in the next few years having several notable roles, such as Aliena in the romantic drama film “The Pillars of the Earth” (2010), while in 2011 she made her breakthrough with the part of Peggy Carter in the sci-fi action adventure film “Captain America: The First Avenger”, starring Chris Evans, Hugo Weaving and Samuel L. Jackson. She played Peggy Carter in sequels “Captain America: The Winter Soldier” in 2014, and the film “Avengers: Age of Ultron” (2015), while she also had the lead role in the TV series “Agent Carter” (2015-2016). Hayley was now an accomplished actress with a Golden Globe Award-nomination attached to her name, and it became easier for her to acquire new roles. The talented actress was chosen for the part of Hayes Morrison in the TV drama series “Conviction” (2016-2017), starring next to Eddie Cahill and Shawn Ashmore, while most recently she was selected as Evelyn Robin in the film “Christopher Robin”, scheduled for release late in 2018. She is also working on several other projects, including films “The Long Song”, and “Blinded by the Light”, however, these projects are yet to receive a release date. Do You Know How Rich Successful Actress, Hayley Atwell Is? Since entering the entertainment industry, Hayley has appeared in over 40 film and TV titles and has also showcased her acting talent on stage. So, have you ever wondered how rich Hayley Atwell is, as of mid- 2018? According to authoritative sources, it has been estimated that Hayley’s net worth is as high as $3 million. Some of the most successful projects on which she worked are of course the “Captain America” films, grossing over $1 billion at the box office. Do You Know About Hayley Atwell’s Personal Life, Dating, Husband? During her time at Guildhall School, she met and befriended television writer Gabriel Bisset-Smith, and it was in 2012 that the couple started a romantic relationship, which didn’t last long, but the two remained good friends. Hayley has also dated Paul Wilson, Stephen Merchant and Evan Jones, all apparently of relatively short duration, and so she is still single. Is Hayley Atwell on Social Media? Hayley can be found on such social media platforms as Instagram and Facebook, on which she has a total of around 600,000 followers, with whom she has shared details from her career, but also her personal life. Her official Instagram page has over 505,000 followers, who are enjoying daily posts from this talented actress. She is also quite active on Facebook, on which she has just over 100,000 fans, using the site to promote her work, such as the most recent announcement of the film “Christopher Robin”. So, if you aren’t already a fan of this successful actress, then this is a fantastic opportunity for you, just skip over to her official pages.